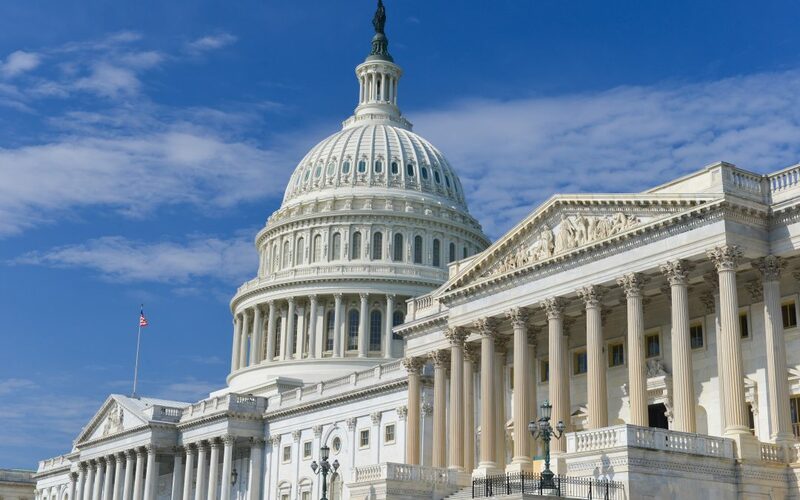 The Senate this week began debate on legislation that would boost federal highway investment by $1.8 billion in FY 2019. This growth would come on top of a $3.4 billion increase in FY 2018 and would result in a 12.2 percent increase over the last two years. The measure includes a combination of transportation investment increases stemming from the 2015 FAST Act surface transportation reauthorization law and the two-year funding agreement reached earlier this year that calls for at least $10 billion per year in supplemental infrastructure investments from the federal general fund in FY 2018 and 2019. Transportation construction programs received a total of $5.3 billion from this agreement in FY 2018. The major beneficiary of the supplemental resources under the Senate plan is the federal highway program, which would receive $3.3 billion on top of the FAST Act’s $1 billion increase. The measure would also allocate $800 million of the supplemental funds to the transit program and $750 million to support needed airport infrastructure improvements. 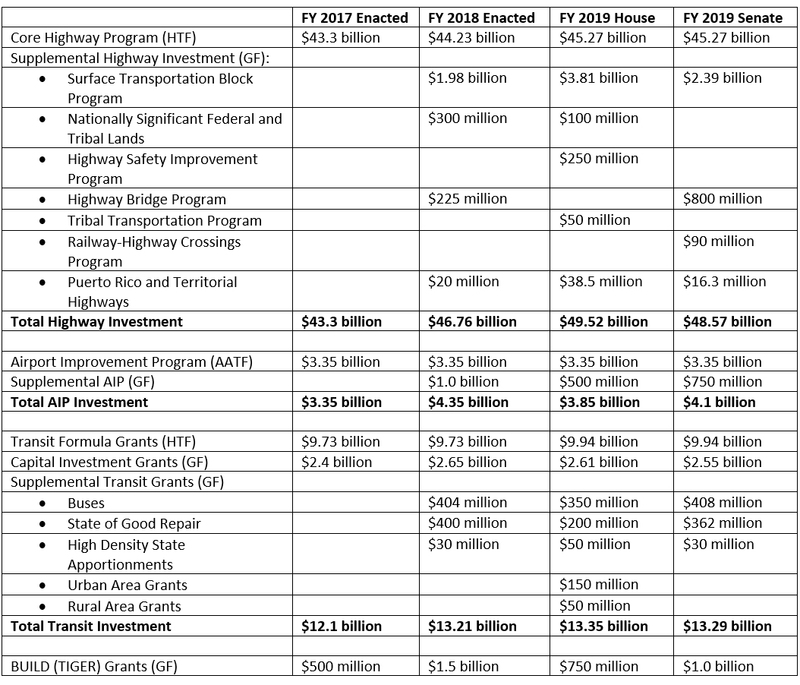 While the popular narrative is that nothing is going to happen on infrastructure in 2018, the fact remains that the annual appropriations process for the current and coming fiscal years will likely provide more than $10 billion in federal transportation infrastructure investment beyond what was anticipated at the beginning of the year. These developments may be short of a $1 trillion infrastructure package, but they are the largest increases at the federal level since the 2009 economic stimulus package.